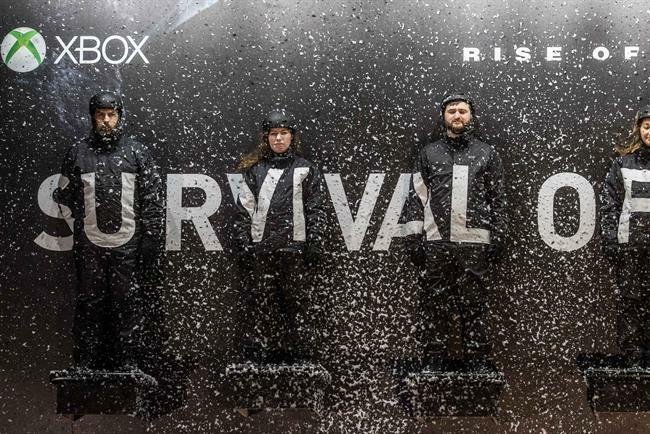 McCann London's "Survival Billboard" had another successful night at Cannes after picking up six Entertainment lions, including a gold. The IPG shop took a gold, two silver Lions and three bronze Lions for the Microsoft Xbox’s work which had already won a string of gongs this year across direct, outdoor, and promotion and activation. The Grand Prix went to Vrse Works Los Angeles, for the New York Times’ "The Displaced." The VR project, which puts the viewer in the perspective of three child refugees, took its second Grand Prix of the week after having won in Mobile. Red Bull Media also collected a gold for "Kaleidoscope," a film starring top BMX rider Kriss Kyle who performs a series of impressive tricks. Adam & Eve/DDB won a silver Lion for H&M’s humourous film "Becoming Beckham," in which Kevin Hart follows David Beckham around in an attempt to study his character. Crispin Porter & Bogusky London took home its first silver Lion of this year’s festival for Turkish Airlines "Batman v Superman." Abbott Mead Vickers BBDO was awarded a bronze Lion for Guinness’ "Never Alone," featuring the gay rubgy player Gareth Thomas who speaks about coming to terms with his sexuality. Saatchi & Saatchi collected its sixth Lion this week for Deutsche’s Telekom’s "Sea Hero Quest" after it was awarded a bronze in Entertainment.